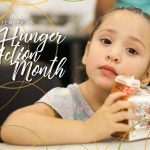 Each week in the Kansas City area as many as 66,000 different people seek emergency food assistance. In Missouri, one in four children lives in homes where there is not enough food; in Kansas one in five children live in food-insecure homes. Yet every year, we throw away more than enough nutritious food to feed each hungry family, senior, and child in the U.S. — more than 96 billion pounds — according to the USDA. Food that could nourish our citizens ends up in landfills. More than 50 million Americans are at risk of hunger — including more than one in five children — according to the USDA. These are often hard-working adults, children, and seniors who simply cannot make ends meet and are forced to go without food for several meals, or even days. The Society of St. Andrew, a national hunger-relief nonprofit, has created a simple yet profound way to feed people year-round by saving fresh produce that would otherwise go to waste and getting it to people who would otherwise go hungry. We do this by targeting the two main points of large-volume food waste: farmers’ fields after the harvest and packing operations where produce is prepared for shipping to markets. In 2008, the Society opened its western headquarters in Kansas City, Mo. “SoSA West,” as it is known, coordinates the acquisition, shipment and delivery of tractor-trailer loads of donated produce — produce that would otherwise be wasted — to food banks west of the Mississippi River, including Kansas City’s only food bank, Harvesters. Since 2008, SoSA West has provided nearly 14 million pounds of fresh produce to food banks in Kansas and Missouri. SoSA West also organizes gleaning events, enlisting volunteers to gather produce left in fields and orchards after harvest. Working with farmers across the region, including Good Natured Family Farms’ cooperative of 150 farms in the Midwest, SoSA West hosts these gleaning events June through November to coincide with the local growing season. SoSA West and its volunteers have already gleaned radishes, strawberries, greens and lettuces in the KC area. We have a full calendar this year with many opportunities to glean, collecting sweet corn, strawberries, watermelon, squash, tomatoes and more. Gleaning is a great multi-generational volunteer opportunity for kids of all ages, as well as adults. To sign up online, go to www.endhunger.org/sosawest and click on “How to Help,” or call 816-921-0856. Help us feed Kansas Citians in need with the best of the season’s fresh, local fruits and vegetables. Can individual families glean anywhere?